We recently launched a new website for FRED. 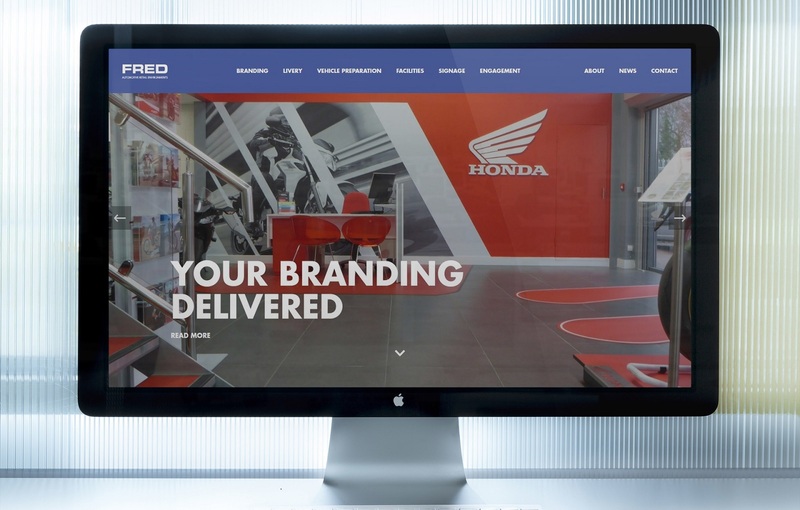 FRED is an automotive retail environment proposition designed to service and support car showrooms, their branding and operational management. But who are FRED and why did they need us? FRED offers the car sales industry a one-stop shop for vehicle livery, valeting, facilities management, site signage, branding solutions for showrooms and client engagement. The coming together of 4 separate market-leading companies will offer this new and unique multi-faceted service. They approached us requiring a brochure site to best promote both their new alliance and their services online. This would then allow users to easily find out more, and to contact the FRED team. Their message for users had the potential to be quite complex. This means it was important that this is conveyed quickly and effectively. We’ve used a clean and modern design to ensure that nothing detracts from the message. This means both the site, and the message, will have plenty of impact. You’ll find full details about FRED and their services on the new website here. If you’d like to speak to one of our team regarding a new website to help you promote your business effectively then contact us.